Michael Harding’s Oil Paint Medium is made from the finest materials. 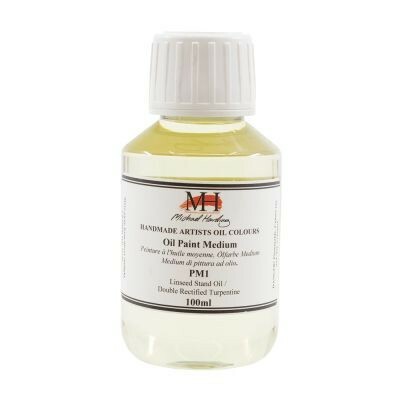 Harding’s oil paint medium has been formulated to ease flow and increase the gloss, transparency, depth and beauty of the pigment in your oil colours. This medium uses a Linseed Stand Oil and Portuguese Maritime Turpentine formulation to prevent the yellowing of the paint film.